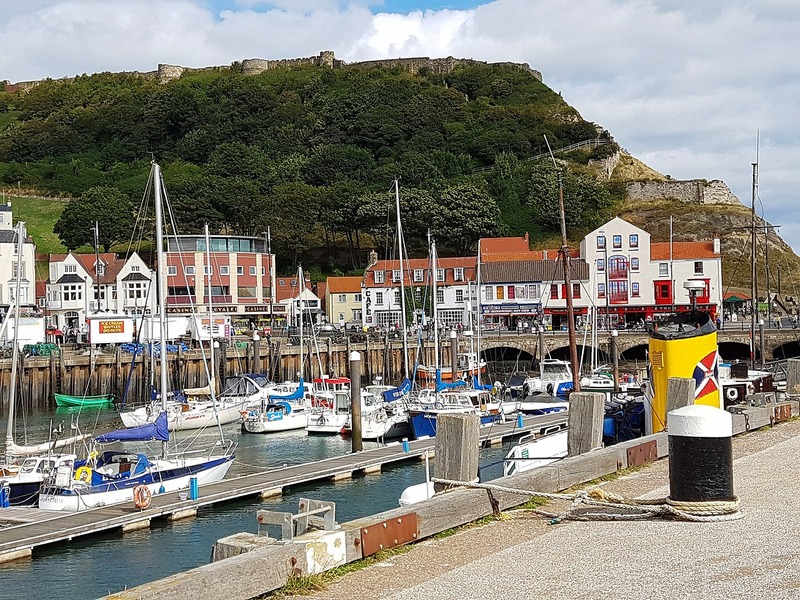 The history of Scarborough in Yorkshire goes back at least as far as the iron age, with the remains of a hill fort to show it. In Roman times the vantage point up on the cliffs was a signal post. A tower in a courtyard, it was the look-out post against raiding Angles, Saxons and Frisians. Later the Vikings, who settled the town, used the name Scarborough in their sagas. In 1066 before the Battle of Stamford Bridge, Harald Hardrada the King of Norway and Tostig sacked the town. In the Norman period, William Le Gros, Earl of Albermarle built the castle in the reign of King Henry I. Later, Henry II captured the castle and so it became a Royal Castle. 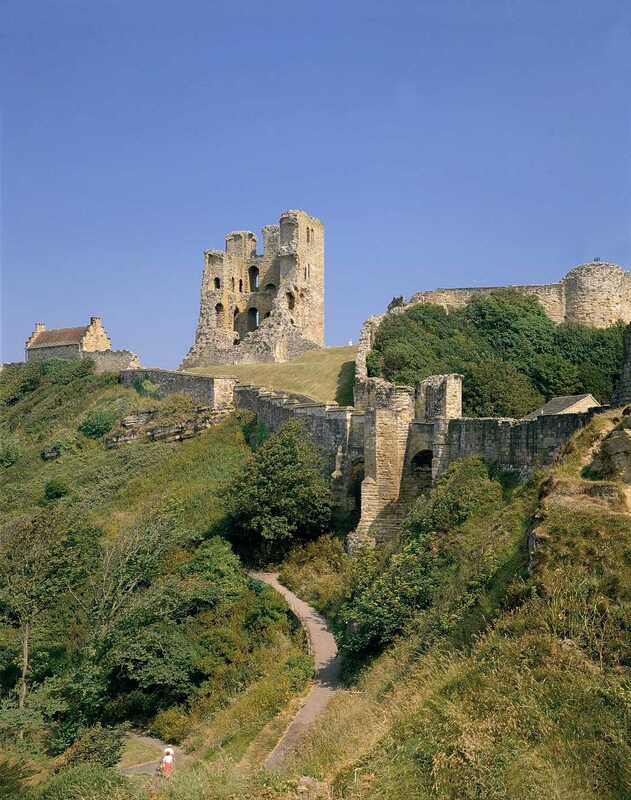 Henry III allowed a fair at Scarborough in 1235, and a fair continued until 1788. In medieval times the town was a fishing town with the castle looking down over the harbour. From 1620, and the discovery of a spa, the town developed as a genteel health resort. Standing on the headland, the castle looked out over the North Sea. Henry II’s keep, split in two during the Parliamentary siege, but half still remains. Between the keep and the land is the great C14thcurtain wall. The remains of the signal tower and two early chapels lie at thee edge of the cliff. In 1984 the Castle went into the custodianship of English Heritage. Founded in 1170, the church stands on a bluff above the old town. In the Civil War the chancel and north transept were destroyed when Parliamentarians were bombarded by Royalists from the Castle. Anne Bronte retired to the town 1849 where she lived at 2 The Cliff, later the site of the Grand Hotel. She died of tuberculosis on 28 May and her grave is in St Mary’s Church in the east churchyard, beyond Church Lane. 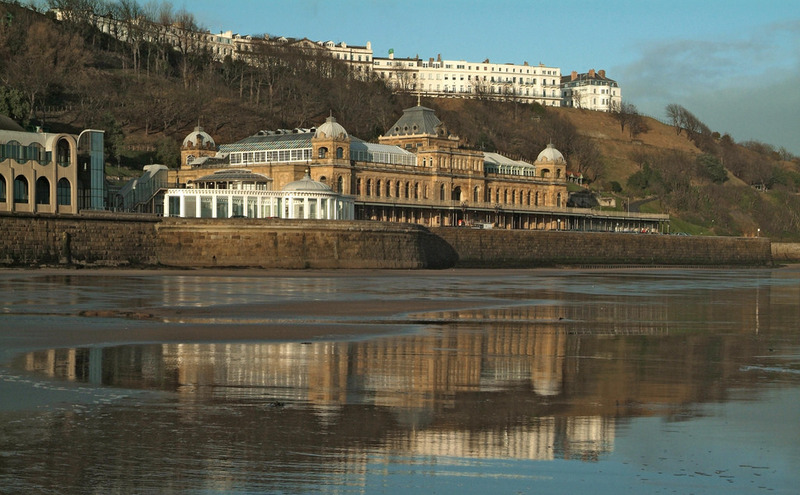 She used Scarborough as background setting for Agnes Grey. The town prospered as a spa, and claimed to be the first seaside resort. Dating from 1828, the museum’s unique circular building is itself an artefact! The museum has exhibits from the bronze age to the modern. The building is accessible, and annual £3 season tickets are available. Scarborough Art Gallery is marking the centenary of the First World War with Wilfred Owen in Scarborough. The famous war poet spent much of the last year of his life in Scarborough, and wrote some of his most famous works there. A concurrent exhibition explores the life and work of novelist and journalist, Winifred Holtby. She used her literary talents to campaign and advocate for peace before her untimely death, aged 37. Scarborough Art Gallery has an impressive permanent collection including paintings donated by hotelier Tom Laughton. Artists such as John Atkinson Grimshaw, John Jackson, Matthew Smith and Frank Brangwyn are represented in the collection. Also there is Eric Ravilious and Edward Bawden, to whom Laughton acted as patron. Wilfred Owen in Scarborough and Winifred’s War run until 2nd September. There is a small admission fee (for annual pass). Five minutes walk from the Rotunda Museum, the Grand overlooks the South Bay. It cost £66.000 to build in 1865, to meet the demand of visitors resulting from the new railway. It was the grandest hotel in Europe! Today, the Spa Complex, including the Theatre, Grand Hall, and other grand rooms,still reflects the C19th development. 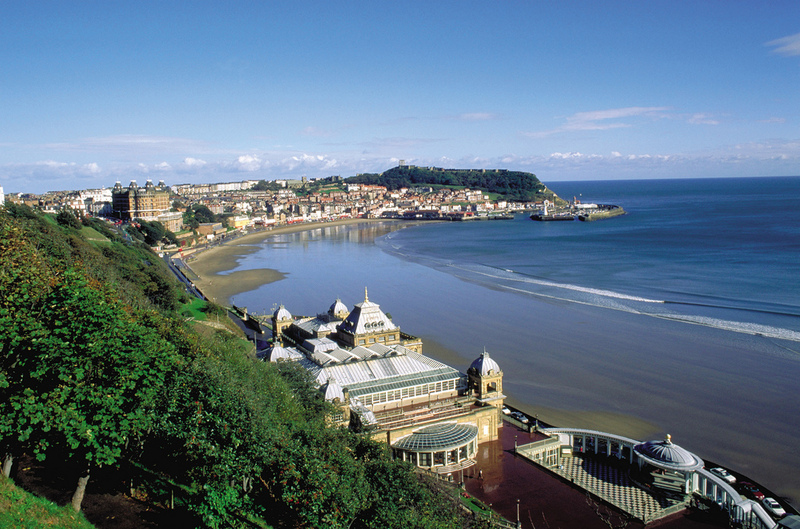 Whatever you visited Scarborough to see, please tell us about it. Previous PostCastle Harlech, in Gwynedd, is a UNESCO World Heritage Site, a magnificent, cliff-top stronghold.